I love these two. I'm not sure Trixie is great and powerful enough to levitate an entire p̶o̶n̶y̶ bunny in a hat though. I like to think she only managed it for a couple seconds before having to drop Starlight on the ground. This is great! Congrats on making the EQD list again too!! If you ever want your pic to get on EQ Daily. 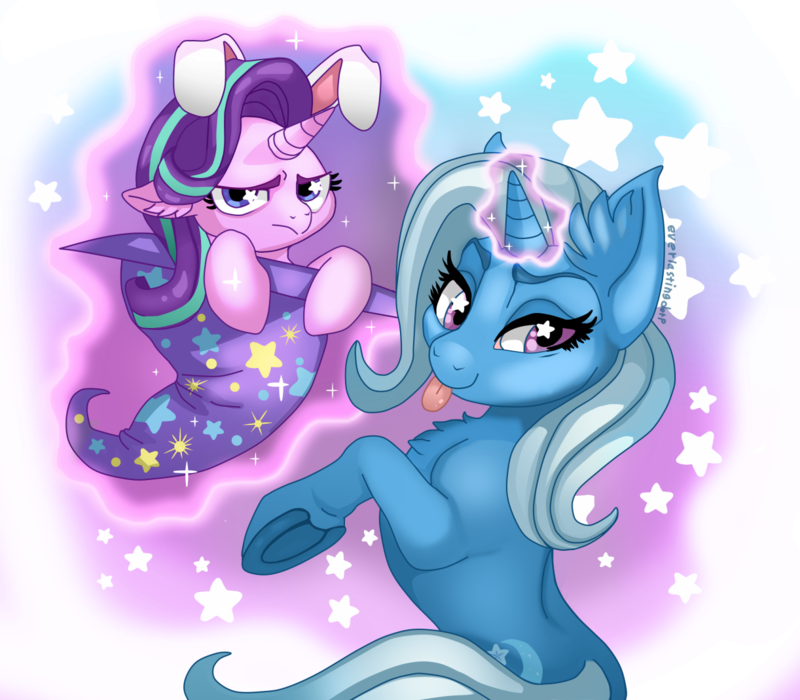 Just draw a cute pic of Trixie!